I'm so excited to announce our next GIVEAWAY! This week three, that's right, THREE, luck Dollhouse Bake Shoppe readers will have the chance to WIN a complete Photo Frost prize pack full of colored icing sheets (edible paper/frosting sheets), icing butterflies, templates to make icing sheet roses and a complete DVD filled with PhotoFrost techniques to add fun edible deocrations to your cakes, cupcakes, cookies, brownies and more! DVD filled with complete tutorials and techniques for creating unique and professional looking icing sheet/edible paper decorations. 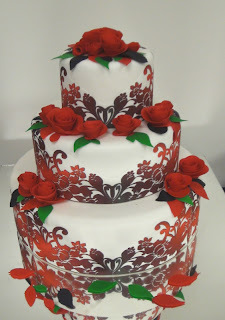 PhotoFrost icing sheets/edible paper is the coolest new cake decorating technique ever. Sheets of edible paper made out of frosting that you can do just about anything with! Simply peel the edible paper off of the backing and cut into any shape, border or decoration you choose. 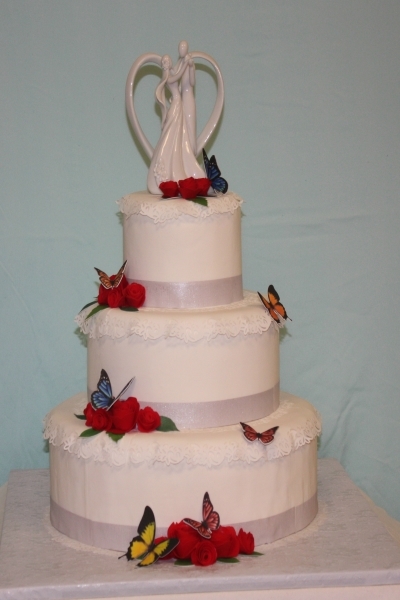 Even add their pre-printed butterflies, printed with FDA approved edible ink, shown in the cake above for a realistic looking touch. My favorite part is their rose template. 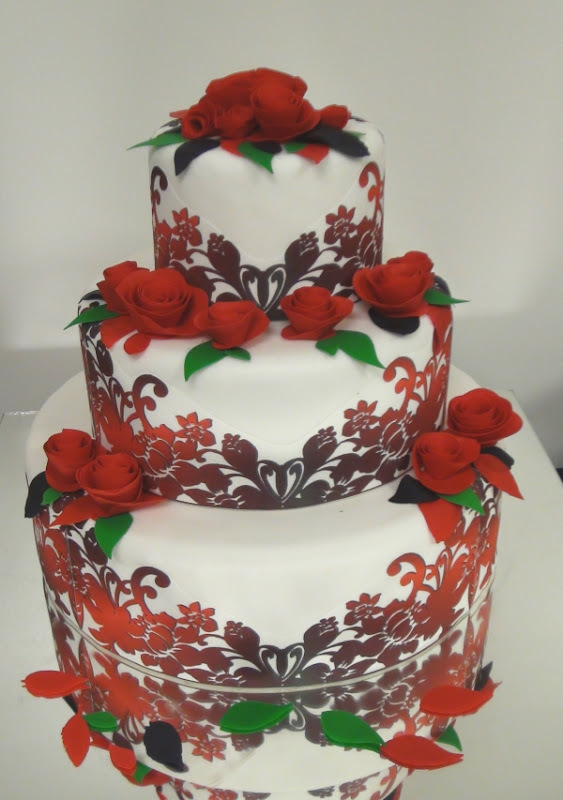 They make it so easy to make beautiful roses from their red icing sheets with the spiral template design. Add some green icing sheet leaves and you have a gorgeous and professional looking cake, that was just as fun to eat as it was to make! 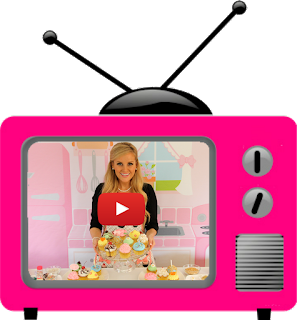 The best part is you don't need any experience in cake decorating and no messy frosting bags, just follow the directions in their DVD included and you can decorate all of your special occasion treats like a pro, to really impress your friends and family!